BRUSSELS -- European Union President Donald Tusk says the first weeks of Donald Trump’s presidency are contributing to the “highly unpredictable” outlook for the bloc. 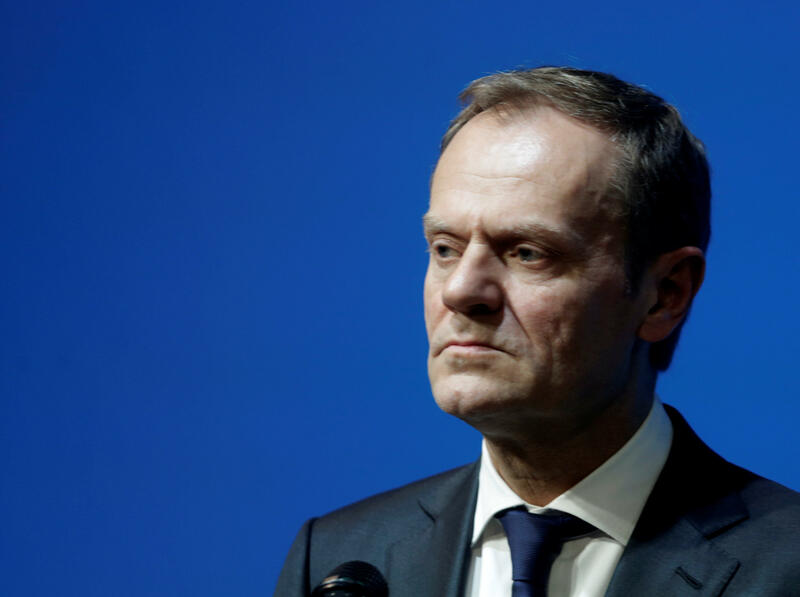 In a letter to 27 EU leaders, Tusk mentioned the Trump administration as part of an external “threat” to the bloc alongside China, Russia, radical Islam, war and terror. The letter was not sent to Britain, which is poised to leave the bloc. Beyond NATO, Mr. Trump indicated in the interview with the Times that he was indifferent to whether the EU stays together or not, a sharp break from the Obama administration, which encouraged Great Britain to remain in the EU last year before the U.K. voted in June to leave. Mr. Trump has called into question -- for the first time since the U.S. helped create NATO in the wake of World War II -- whether America would help defend its treaty allies in the face of aggression from an increasingly-assertive Russia. Under President Obama and in the wake of Russia’s annexation of the Crimean Peninsula from Ukraine, by force, the U.S. sought to reassure jittery Eastern European nations near Russia’s western border. As part of that commitment, about 4,000 U.S. military personnel and all the equipment of a combat brigade rolled into Eastern Europe earlier this month. The troops are to fan out across seven countries, from Estonia to Bulgaria, for exercises. A headquarters unit will be stationed in Germany. After nine months they will be replaced by another unit. President Trump could reverse the deployment, reported CBS News correspondent Elizabeth Palmer, but it’s believed that would take months, or even years to accomplish.